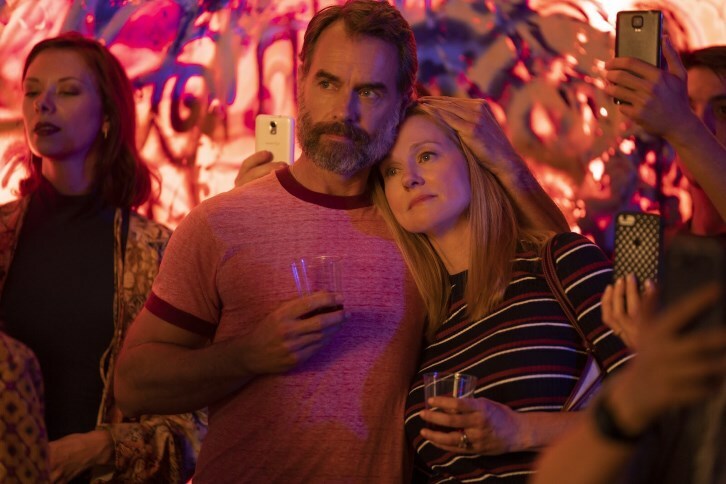 Inspired by the books of Armistead Maupin, Netflix Limited Series Armistead Maupin’s Tales of the City begins a new chapter in the beloved story. Mary Ann (Laura Linney) returns to present-day San Francisco and is reunited with her daughter Shawna (Ellen Page) and ex-husband Brian (Paul Gross), twenty years after leaving them behind to pursue her career. Fleeing the midlife crisis that her picture-perfect Connecticut life created, Mary Ann is quickly drawn back into the orbit of Anna Madrigal (Olympia Dukakis), her chosen family and a new generation of queer young residents living at 28 Barbary Lane. Armistead Maupin’s Tales of the City is a Working Title Television and NBCUniversal International studios production for Netflix. Lauren Morelli serves as Showrunner and Executive Producer, alongside Executive Producer/Director Alan Poul, and Executive Producers Armistead Maupin and Laura Linney. Working Title’s Andrew Stearn, Liza Chasin, Tim Bevan and Eric Fellner executive produce. Caldwell Tidicue, Dickie Hearts, Daniela Vega, Juan Castano, Michelle Buteau, Matthew Risch, Charlie Barnett, Josiah Victoria Garcia, Murray Bartlett, May Hong, Benjamin Thys, Samantha Soule, Christopher Larkin, Jen Richards, Ashley Park, Michael Park, Victor Garber round out the cast.